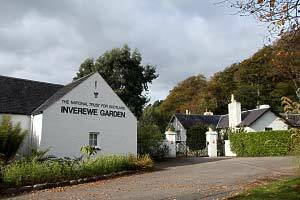 Inverewe Garden is set in 50 acres near Poolewe in the west of Scotland amidst the stunning scenery of Loch Ewe and the Wester Ross mountains. Due to the warm Gulf Stream a wonderful array of plants from all over the world have found a place in this magnificent green and colourful oasis. 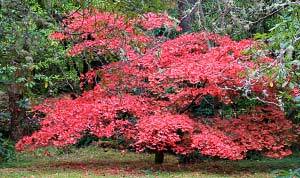 In the shelter from the salt laden gales, now being provided by the woodland, Osgood Mackenzie began to establish a remarkable collection of trees and shrubs in 1862, obtained from many parts of the world. By the 1870’s the Victorian Gothic house was nearing completion and the garden was reported as “filled with colour under the newly planted hanging woods”. 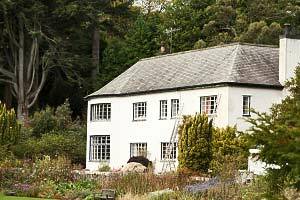 The original Inverewe Lodge was destroyed by fire in 1914 and replaced in 1937 by the current Inverewe House which is unfortunately not open to the public. 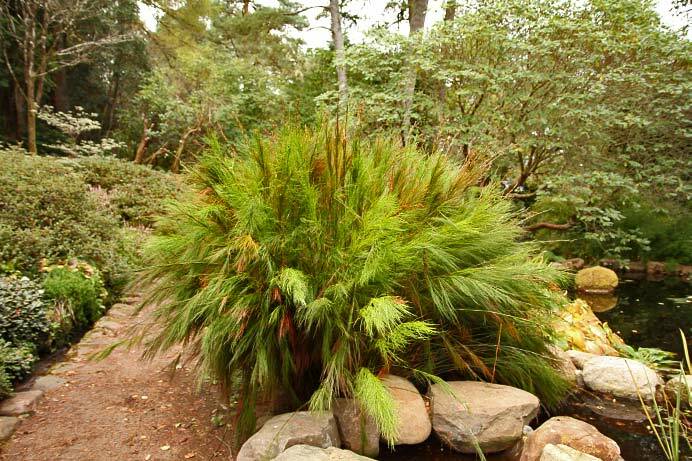 There are giant yuccas, phormiums and plenty of other exotic species, from all over the world. Rhododendrons from the Himalayas, Eucalyptus trees from Tasmania, Oleria from New Zealand and other plants from Chile and South Africa. A vegetable, fruit and flower garden was constructed by excavating the glacial raised beach. Soil was imported for this and other areas, to provide a better medium for growth than the native gravel, rock and peat. There are currently over 2,500 exotic plants and flowers, which is quite astonishing if you consider that Inverewe Garden is as far north as St Petersburg in Russia. The garden and estate has been the property of the National Trust for Scotland since it was gifted to the Trust along with a generous endowment for its future upkeep by Osgood’s daughter Mairi Sawyer in 1952. Most of the structure of the garden is original and the well recorded plantings of Osgood Mackenzie are the backbone of what you see today. 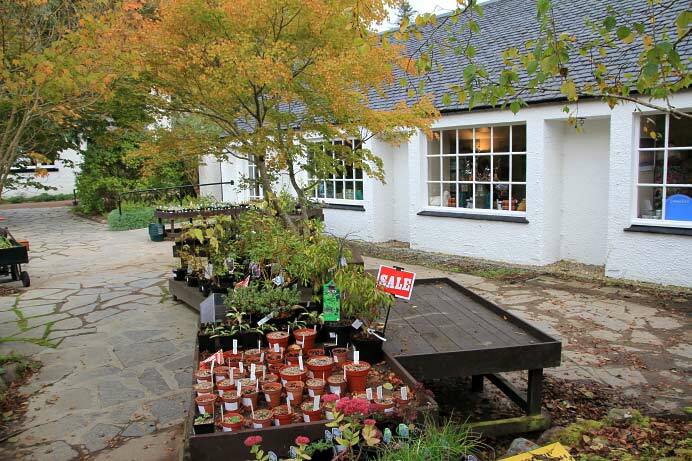 The National Trust for Scotland has made necessary changes to meet visitor demands who come to the garden in their thousands. These changes include not only the improvement to pathways but also the planting of much woodland ground cover and summer flowering shrubs and perennials. The garden has become increasingly famous and horticulturally important. Around 200,000 visitors annually find their way to this remote yet stunning garden. 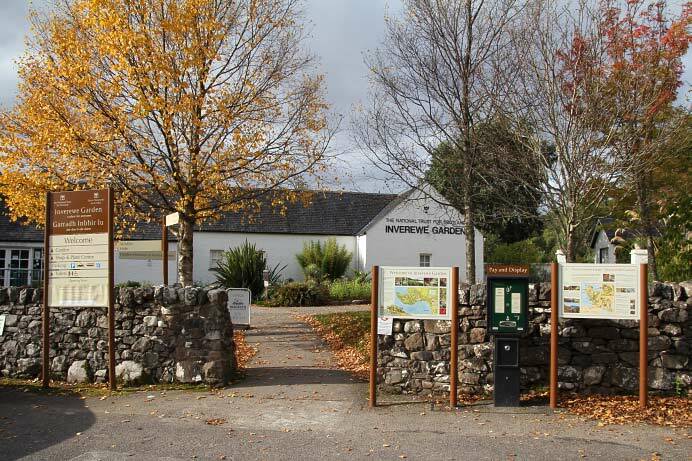 As well as the Garden there are over 2,000 acres which are managed for conservation including the Pinewood Trail, Inverewe Trail and Kernsary Path. At the edge of Loch Ewe is a Wildlife Hide full of interesting facts where seals, otters, divers and a rich variety of wildlife can be seen. 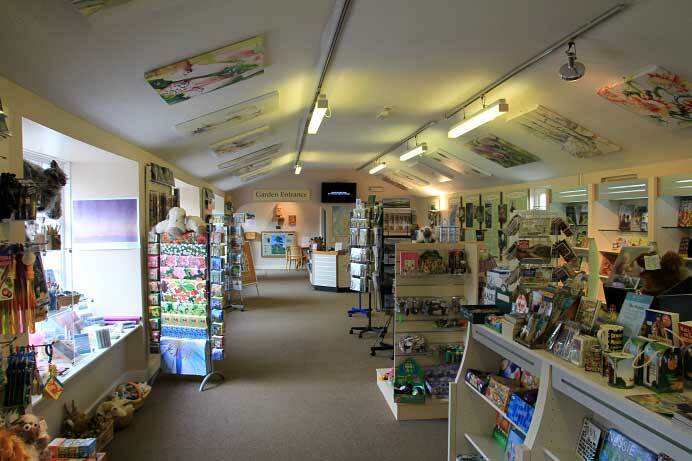 The gardens are open all year and there is a self-service restaurant, a visitor centre and a large gift shop, all open from early spring to late autumn. A large car park is situated next to the main entrance of the garden.